The cleaners are coming tomorrow and my apartment currently looks like someone threw a bomb of clean-but-unfolded laundry, mail, and cat toys in my apartment. I need to unearth some surfaces for them to clean, but, as noted above, I am playing Words with Friends instead. It’s not all that late, but I’m incredibly tired, and have been since I got home tonight, which is probably why I am playing Words with Friends rather than doing anything meaningful. Of course, it’s my own fault that I’m so tired – going to concerts two nights in a row (one in a city 120 miles away) makes for a more exhausting than usual week. It also makes for a more fun than usual week, so there’s that. I was, by the way, wholly unimpressed by the Lemonheads on Monday night. To say they phoned it in would be generous. On the other hand, the Psychedelic Furs were terrific – full of energy and looking like they were having a blast. Springsteen was, as always, excellent. 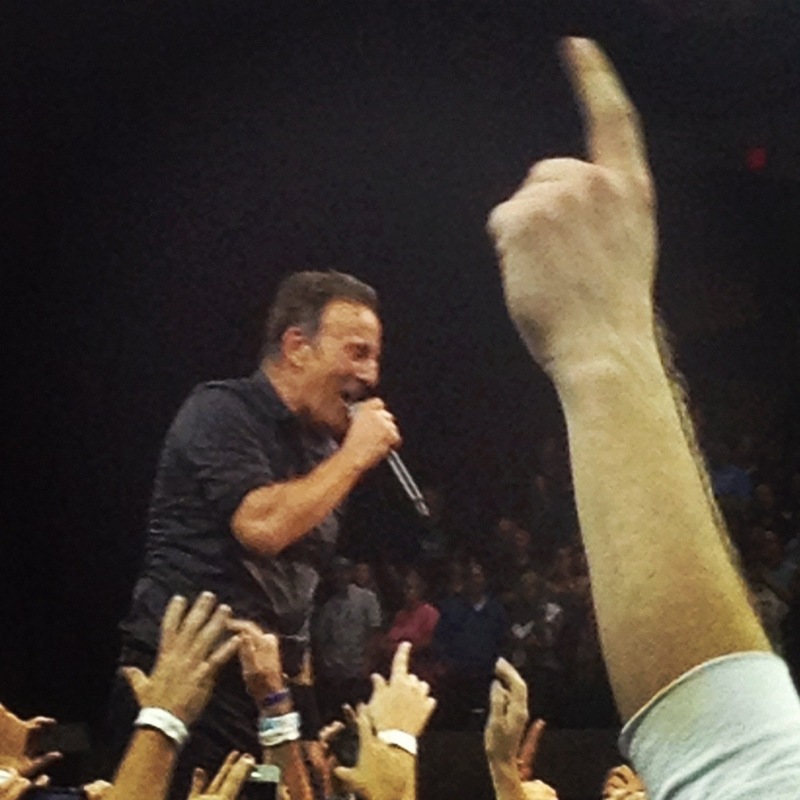 We had decided to forego the pit lottery, but the floor spot we selected ended up right next to the side runway Bruce used to get into the crowd, so we had a couple of unexpectedly good up-close views. Despite spending nearly five hours alone in a car together en route to the concert in Charlottesville, Brian and I could not make a decision about what to do for Thanksgiving, other than I would happily tag along on whatever he, Jen, and the boys do. I am supposed to go to Spokane for work next week, but there is this “Frankenstorm” coming, which is quite possibly going to end up making things ridiculously complicated. That’s all I’ve got. Bedtime.